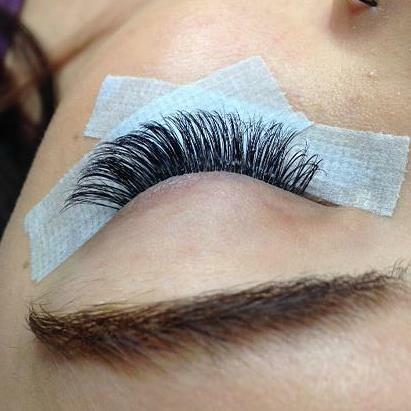 The concave ends of the extension helps them meld better with the natural eyelashes than mink eyelashes and makes the application last longer. 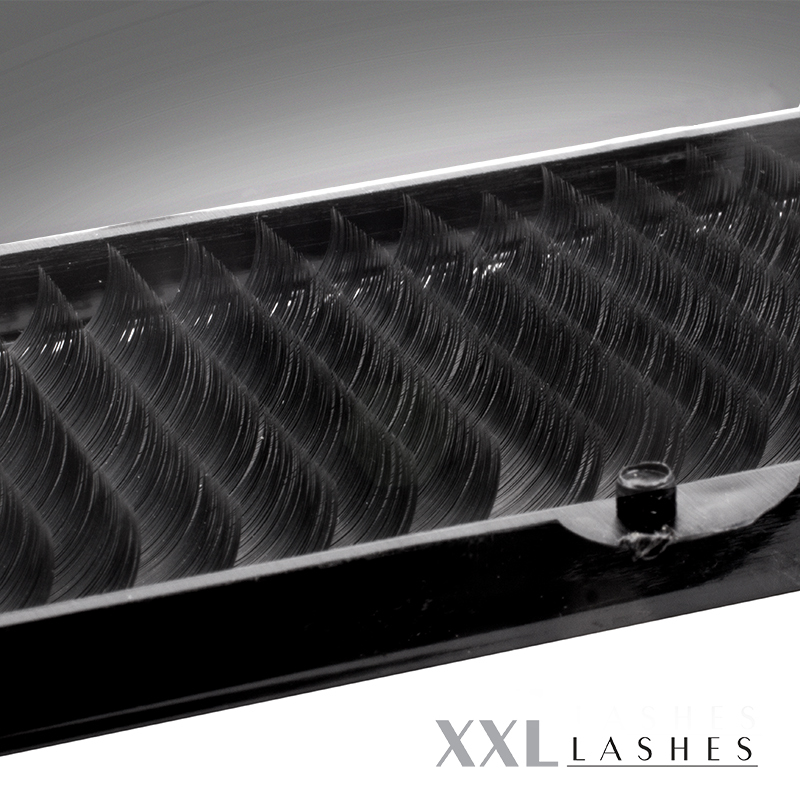 ... the best option for individual eyelash application method. 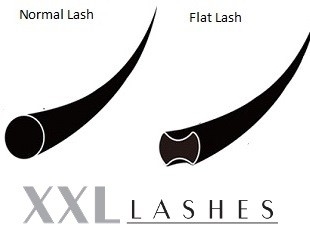 It is quite clear from this illustration that flat lashes are concave, i.e. an oval shaped depression, seemingly cupped in form. 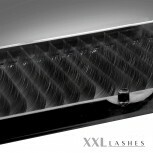 It is this feature that makes its ends align automatically to the natural eyelash. Besides, this brings the weight down. A flat lash weighs 40% less than a conventional eyelash. 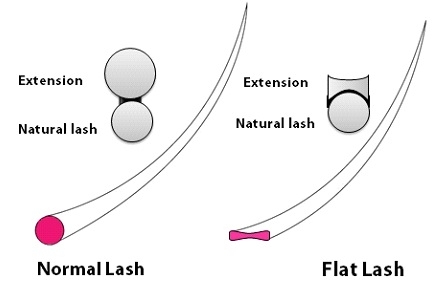 The weight of an 0,20 mm eyelash corresponds to that of an 0.08 mm eyelash. Another advantage of this trough shape is that it provides greater gluing surface allowing the hand to move faster to place the eyelash and the extension to be positioned almost by itself. - the flat surface brings out its glossy sheen even better.